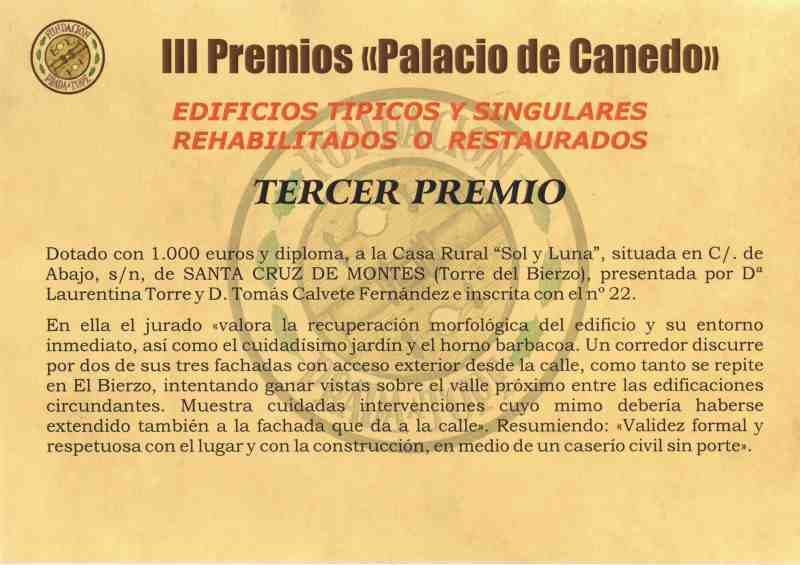 Our house in 2011 to been rewarded by 3 º Prize of the best rural houses of the bierzo for the prizes of Canedo's Palace. Rural house Sol y Luna this located in the heart of Bierzo, in the calm village of Santa Cruz of Montess, that with their 200 inhabitants in winter do of her the suitable place for the rest, in incomparable place, and with multitude of activities in summer when duplicating I number of visitors, where it will be able to enjoy surroundings surrounded by mountains and nature next to its people. 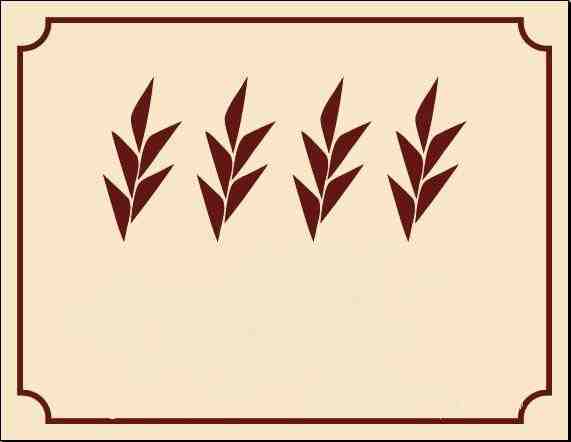 The rural house consists of three plants, and this totally reformed in the 2010, its owners taking care of all and each one of details, have equipped to the house the cosy atmosphere right for the rural surroundings in which one is. His walls of stone they give faith of his old origin giving him to wood protagonism and berziano style. Furnished agreed to the style and with objects old, they make of her a house with the rural atmosphere necessary. Trying in its restoration to recover the stone walls and soportaciones of wood that originally they found in the house, conserving his natural enchantment, and simultaneously to make it cosy where the traveller feels comfortable and their preoccupations are the minims, for which it is had equipped the house yet the essential thing for it. Santa Cruz de Montes is a population pertaining to city council of Tower of the Bierzo, to the west of province of Leon, in the entrance to the valley of the Bierzo from the Plateau. At the moment it has about 200 inhabitants, although the number was remarkably superior during apogee of the industry of the coal, main source of wealth during 75 years. Account with a church of half-full of Century XVIII, and with a hermitage of the Century XVII. In addition several interesting buildings exist, like an old hospital of travelling or one old prison. The legend of the zone speaks of the existence of convent left during the Arab invasion and of I castrate Roman, although at the moment rest do not exist of none of the two things. The zone has a good one number of museums to visit like the Ethnographic Museum of High Bierzo (Bembibre), the Museum of the Bierzo (Ponferrada) or Ethnographic museum of Noceda of the Bierzo. Places of great interest patrimonial like “the 40 Marrows” to Kms. (Patrimony of Humanity), Monastery of Cariacedo, Monastery of S. Miguel of the Owners, Way of Santiago (the Holly, Molinaseca, Villafranca of the Bierzo, Or Cebreiro), Peñalba of Santiago (joint historical-artistic), Hills of Santiago (joint historical-artistic), Blacksmith shop of Compludo (Roman blacksmith shop), Castle of the Templarios (Ponferrada), rural Architecture in Ancares (pallozas, hórreos, etc.). Sport activities like the parapente in the mountain range of Gistredo. 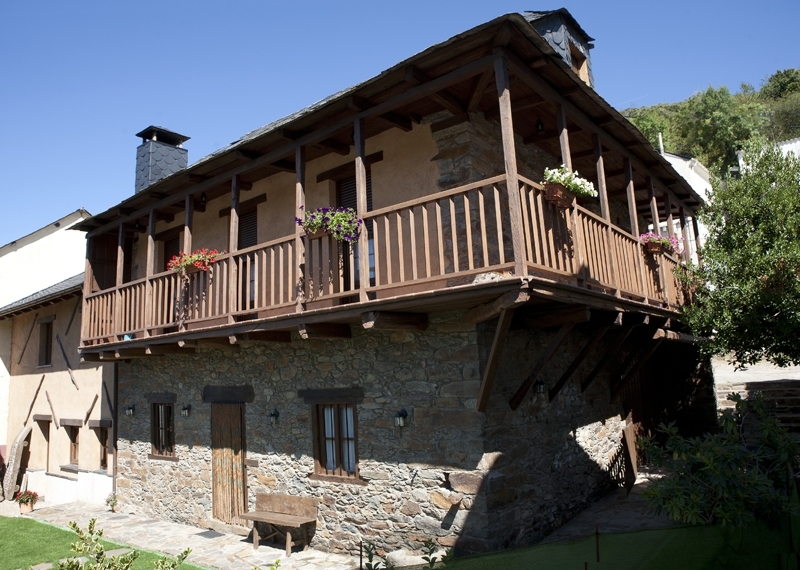 The Bierzo lodges natural corners and exceptional monuments of great value artistic….descubrelos… enchanted to you.